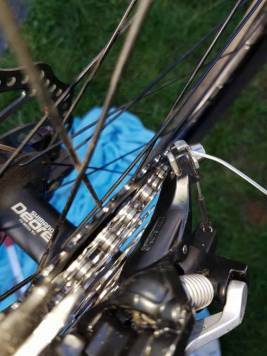 I got a new 10 speed Shimano Deore cassette(11-42T) for my bike to replace the old 10 speed cassette(SLX Zee 11-36T). 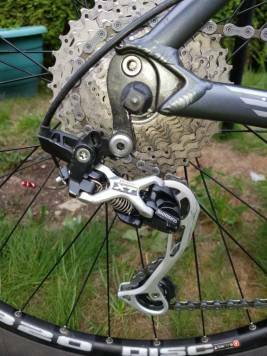 The problem is that the rear derailleur(XT RD-M773) is hitting the cassettte. I did play with the B screw, but no luck there. What is the problem/ solution? What is the mount of the rear derrailleur? Can you make a picture from the side? This is with the old cassette. 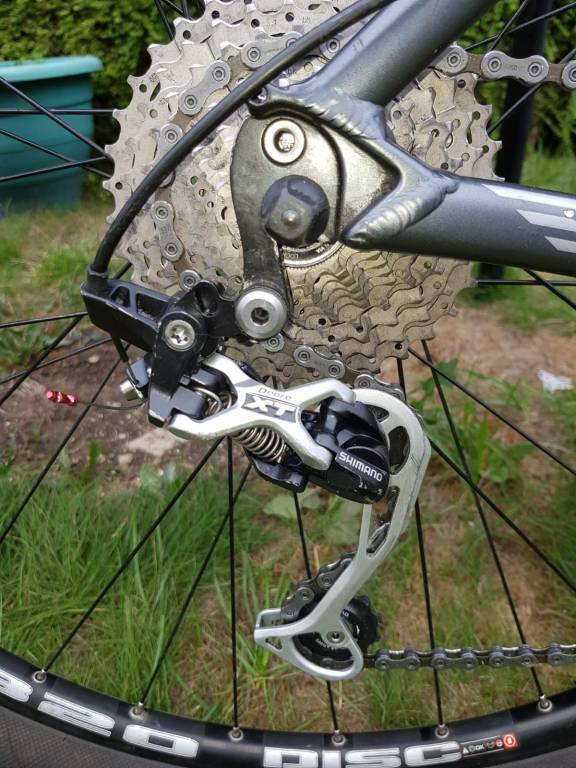 the rear mech has been mounted to the hanger on the wrong side. Thank you for the interest showed for my problem(it really means a lot). Unfortunately that is the original hanger and it is mounted on the right side. I decided to give up for now(too many searches and headaches) and build another bike. P.S. Happy Holidays and all the best! It's a shame, we can't find the solution. Cheers!